Yet another old programming environment I used for quite a long time is the Borland C++ Builder. 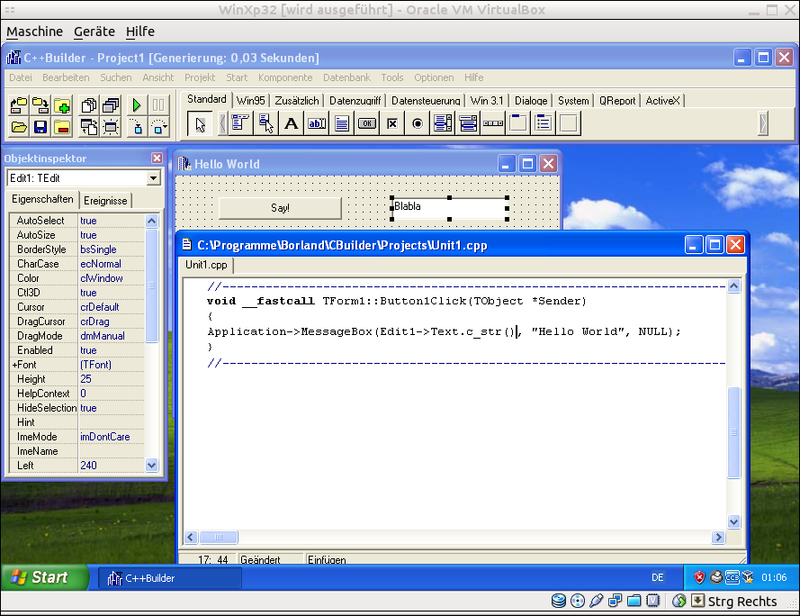 It is the brother of the very famous Borland Delphi, and the IDE and API looks quite similar to it. I was given a book named "C++ für Kids", which taught the basics of it, but seems like already in my younger years I knew I would not like C++. However, it is a quite nice environment with which one can easily create simple applications. When starting, one usually sees a simple Window "Form 1". 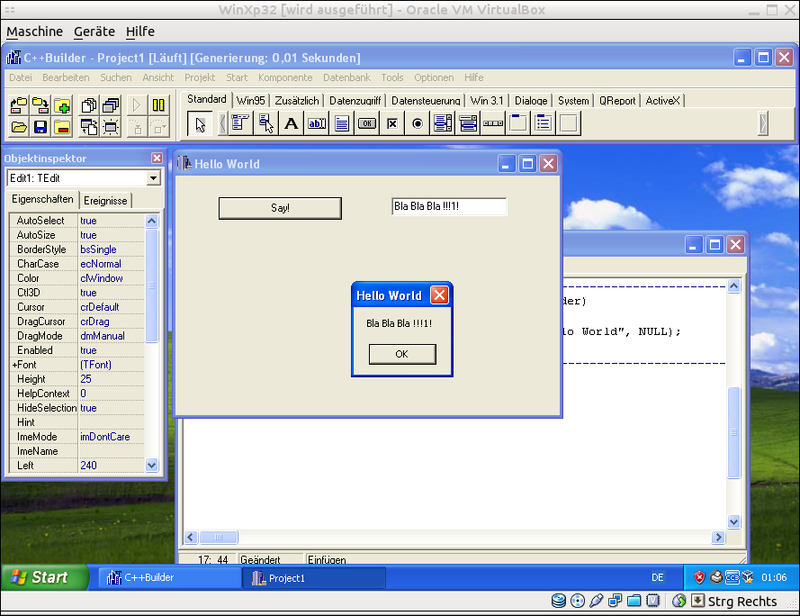 At the left side, several properties can be set, for example, the Caption of that first window. 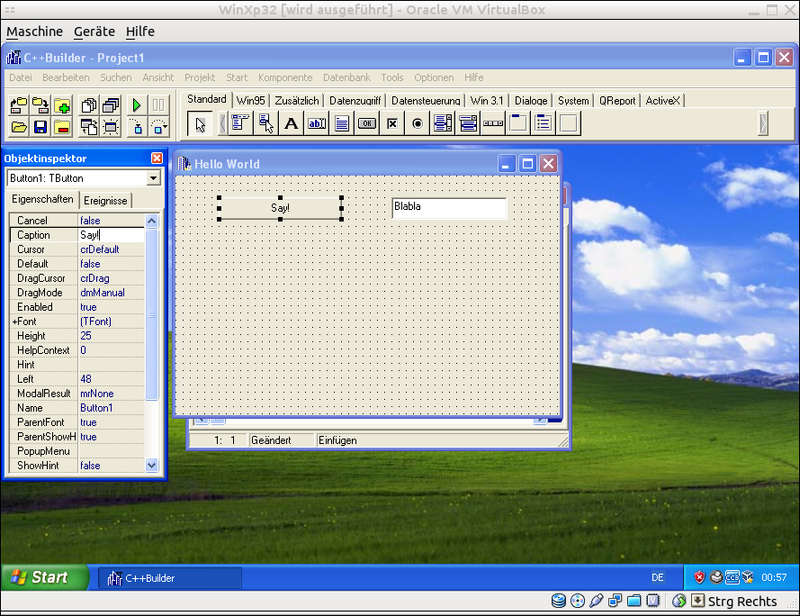 Like in Visual C++, one can put several widgets on that window, and work with them. When double-klicking on one of these widgets, the default event-handler is created. For a button, this is the OnClick-handler. It can be set appropriate. As soon as we are finished with making our application, we can run it! It is as simple as that, and with just a little more efforts, nice applications can be made.